It's Minnie Mouse time! That's right, the costume is all set and it's all ready to go. She's got the ears, and the polka dot dress. Did you remember to pick up some accessories? Of course, a Minnie Mouse costume is a-okay on its own, but if you want to add a few choice accessory selections, that can add some extra wow factor to the costume ensemble. 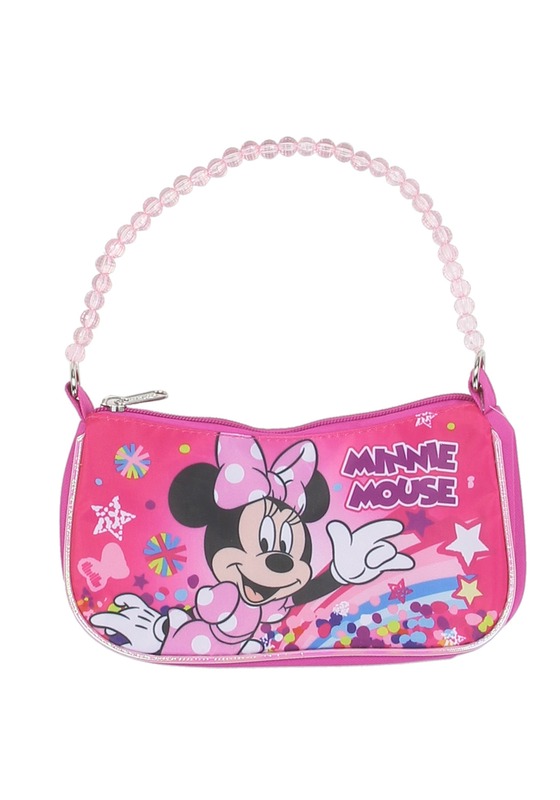 Of course, it might be kind of handy to have a purse along for the costume fun, so we'd like to suggest this Minnie Mouse Handbag for Girls! This Girls Minnie Mouse Handbag is Disney officially licensed. It's made with 100% polyester and it's easy care, just wipe it clean with damp cloth. A strung bead handle and zipper closure make it easy to use, and of course, it has a complete Minnie Mouse graphic design on the side. Minnie time is sure to be a grand time. She might have some trick-or-treating in mind, or she might be going to her first costume party. Whatever kind of adventure she undertakes, when she chooses to dress up as Minnie, we're sure she's going to be proud to show off her Disney stuff!